I am often asked what wording is allowed on a churchyard headstone. Unfortunately, there are often no hard and fast rules. As there are no central Church of England guidelines, the first place to seek guidance is one of the forty-two local dioceses. The second and most important step is to speak to the local vicar, as the guidelines are not very specific and permission is usually granted at the vicar's discretion. 1.Inscriptions should be simple, reverent and appropriate whenever possible. 2.Inscriptions should not be overly sentimental and should not include over-familiar terms like "nan" or "grandad". 3.Inscriptions should be relevant in the years to come and should if possible say something which speaks to everyone. 4.Inscriptions should be tasteful and inoffensive. 5.Quotations from literary sources, the Bible, songs and poems are usually appropriate. 6.In most cases, both the Christian names and surnames should be included together with the dates of birth and death or date of birth and age. In reality, the decision usually comes down to the individual vicar, who should be approached tactfully and sometimes a little give and take may be needed to decide upon an appropriate inscription. 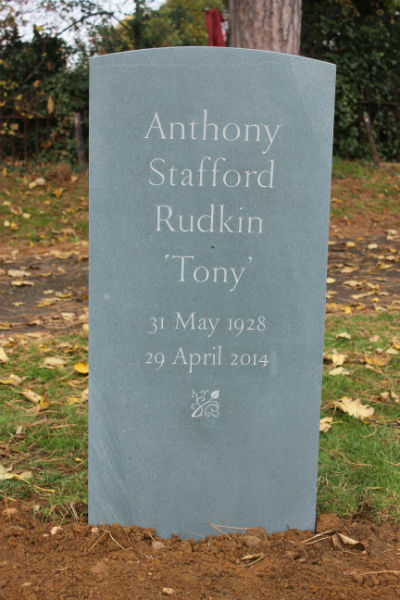 Having made headstones for over ten years, I have rarely encountered a problem with any of the inscriptions on my headstones, and vicars are particularly keen to encourage individual, artist designed headstones. As long as the design is sensitive and tasteful, I tend to find most vicars are entirely supportive. For example, although statements describing how you feel about the deceased may be discouraged in the guidelines, in practice I have never found this to be a restriction. Waiting at least a year after the death before choosing an inscription often gives time for emotions to settle and enables you to choose an inscription which you will not regret later on. 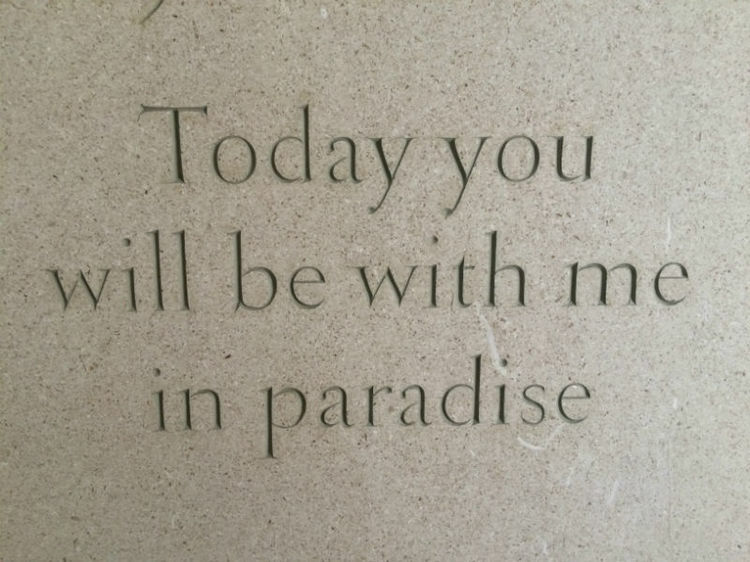 Click here for a list of epitaph ideas. Below I have included advice from different Dioceses to give you a feel for the sort of guidance offered. Inscriptions must be simple, reverent and theologically acceptable; they may include appropriate quotations from the Scriptures or literary sources. Nicknames or pet names may be used in addition to baptismal names; they should, however, normally be included in inverted commas within the name of the deceased. In most cases, both the Christian names and surnames should be included together with the dates of birth and death or date of birth and age. The incumbent may permit additional words provided that: a) they are not tactless; b) they are consistent with Christian scripture, teaching and doctrine; and c) they do not intentionally, by implication or otherwise, draw a comparison of any sort with anyone else buried in the churchyard. Inscriptions should be simple, dignified and reverent. Passing sentiments are to be avoided. Encouraged are brief epitaphs with biblical or well-known hymnal words which reflect the life and work of the deceased. A memorial is possibly the only place to say something publicly about the person who has died. It may, therefore, be appropriate to record what he/she did (“farmer in this village for fifty years”) or some feature of his/her character (“a much-loved father and grandfather” or “a kind and gentle daughter”). Some may wish to add a biblical text, or an extract from a poem, or some suitable phrase from other Christian sources. Over-sentimental expressions should be discouraged, if possible. It is recognised, however, that this may not be easy. Whereas even fifty years ago many biblical or literary quotations were familiar to a broad cross-section of the population, this is probably true no longer. Nowadays, phrases picked up from popular songs (“He did it his way”), or television shows may well be in the minds of grieving relatives – witness the deaths columns in local newspapers. So, an understanding, sensitive approach from the incumbent is to be encouraged. Careful, yet diplomatic, persuasion may be needed before an agreement is reached upon an appropriate wording. In undertaking this sometimes difficult task, the incumbent should point out that memorials in churchyards are of a relatively permanent nature and, by their inscriptions, ought to reflect wherever possible the Christian approach to life and death. It should be emphasised that, simply because a grieving relative doggedly insists on a particular expression, no incumbent must feel obliged to agree to an inscription on a headstone which he or she genuinely feels is inappropriate. Inscriptions must be simple and reverent. Quotations will usually be taken from the Bible or Prayer Book (including Common Worship) but, if desired, quotations may be from other sources compatible with the Christian faith. The wording of an inscription must be included in the application, and must be approved by the Minister. Inscriptions may be incised or in relief, and may be coloured a shade lighter or darker than the surrounding stone. Gilded, silvered, plastic or other inserted lettering is not permitted. A memorial inscription is for the purpose of record and is open for inspection by the public. The inscription should be suitable for being read by the public at large over future years. For this reason, the Chancellor does not consider it appropriate to permit statements of how members of the family feel about the deceased. Ministers should encourage applicants to use terms such as “Mother”, “Father”, “Grandmother”, etc., rather than the more familiar terms, “Mum”, “Dad”, “Grandma”, etc. Before permitting an inscription including such a familiar term the Minister should consider (i) whether he or the PCC or any other person objects; (ii) whether there are any other aspects of the proposed memorial which are not normally permitted; (iii) whether the grave is in an obvious position, or in a remote part of the churchyard; (iv) whether the church is one calling for a high level of inscription writing (e.g. a Grade I listed church with historic churchyard; (v) whether there are any other memorials in proximity bearing such terms. Ministers should also consider that expressions such as “Pop” or “Gramps” may be less acceptable than “Mum” or “Dad”. References to the bereaved family in the inscription should be restricted to parent/child or spouse relationships. The inclusion of siblings’ or other relatives’ names in addition to those of parents/children of the deceased is not normally permitted. Brothers or sisters may be referred to as the only bereaved, or of course where they are interred in the same grave. Although some dioceses stipulate that a faculty is needed for all symbols other than a simple cross, in practice I have rarely had one of my headstone symbols rejected by the vicar in the first instance. The inclusion of symbols, whether in low or high relief can often be visually delightful and a positive contribution to their setting, provide a variety of interest and avoiding the repetition of standard catalogue images, but it is important to maintain an acceptable standard of design of such symbols. Frequently the motif is the traditional Christian symbol of a cross. 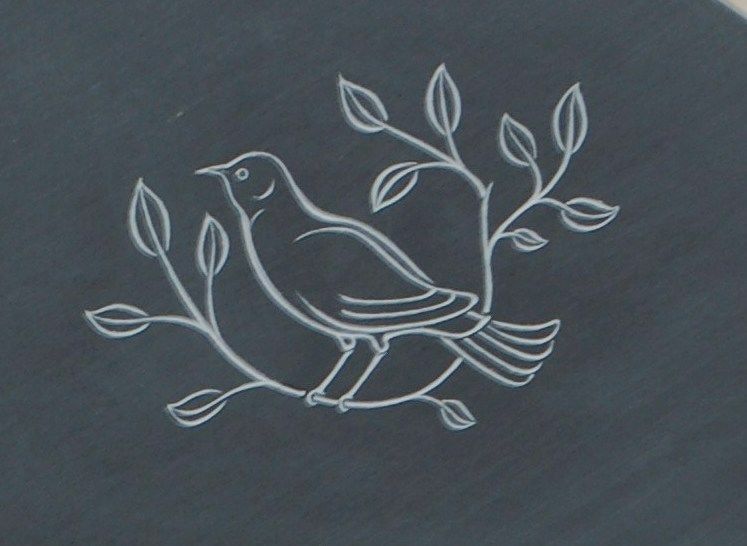 Sometimes, the engraving is flowers or reflects something of particular interest in the life of the person who has died, such as a dog, a bird, a fishing rod, a tractor, a musical instrument or a motorcycle. Provided the motif is small and well carved, there can be no intrinsic objection. After all, our churches are full of small, often irreverent, but interesting designs, and symbols, which can be seen in gargoyles, stained-glass windows and misericords. Click here for further examples of gravestone symbols. What happens if an inscription or symbol is rejected by the vicar? Approval of a headstone is solely at the discretion of the vicar. I find that sometimes a vicar will reject a headstone even if it falls within the diocese guidelines; it is often a very personal judgement call. I rarely encounter objections to the inscription or symbol chosen, although you can never take it for granted and it is often worth seeking the vicar's advice before choosing an inscription. Should a vicar reject your inscription or symbol, especially if it falls outside Diocese Regulations, you will need to apply for permission from the Chancellor of the Diocese known a Faculty. In some cases, the vicar might approve of the headstone although it falls just outside regulations in which case he might follow a process called the Archdeacon's Discretionary Procedure which was introduced to allow proposals which were marginally beyond the scope of the Regulations to go ahead without the need go through a full faculty process. Major departures from the regulations still need a faculty. What about the rules for municipal burial grounds? Again, there are no hard and fast rules, each burial ground having their own set of guidelines. In practice, however I have rarely had an inscription or symbol rejected by a municipal burial ground and in general, I find they are more relaxed than vicars on what wording or symbols are permitted.